Cool stuff! Archives - Sawtooth Mountain Maple Syrup Co.Sawtooth Mountain Maple Syrup Co. The forest service has placed numerous signs around the Arrowhead that indicate driving routes that pass you through locations of seasonal splendor. For the new and veteran leaf peeper, the Minnesota DNR has a wonderful resource for when is a good time to see the Fall colors here in Cook County. Check here for more info! 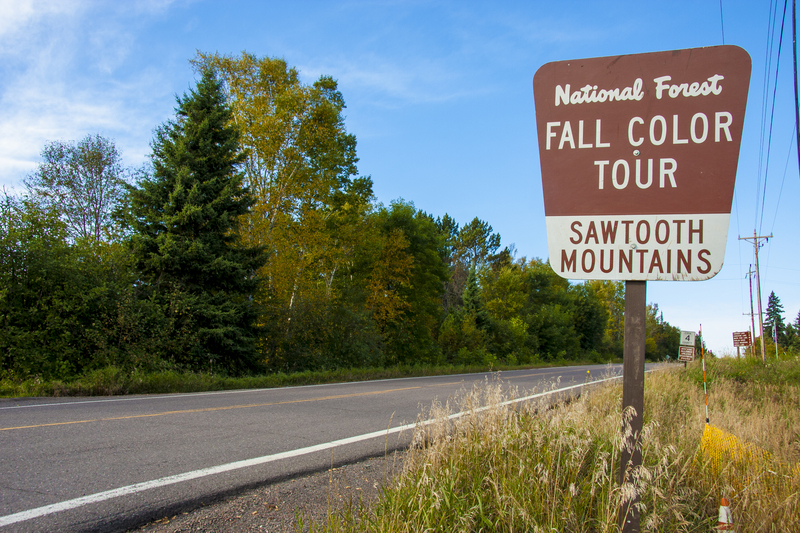 Fall Color Tour signs are placed along some of our most popular routes in the Tofte/Lutsen and the Gunflint area, Tour maps can be downloaded online or picked up at the Tofte and Gunflint Ranger Stations. September 28 – October 7. Will feature a variety of unique handcrafted works created in Cook County. Fall in Cook County is a time of tumultuous beauty, so take some time to explore the colors and meet artists during the Fall Studio Tour! Stops include home studios as well as galleries with guest artists. All locations will be open daily, from 10am-5pm, with a few special Fall Studio Tour events scheduled outside of these hours.The Art Along the Lake Fall Studio tour is the second of two seasonal Art Along the Lake events here in Cook County and has replaced the Crossing Borders Tour which had been ongoing for 20 years. See the schedule here! September 28th – 30th, 2018.The Lake Superior 20/20 Studio Art Tour offers visitors a variety of artistic talent to peruse while enjoying the autumn splendor of Minnesota’s North Shore. Glass, ceramics, woodwork, painting, printmaking, jewelry, sculpture, and photography, will be exhibited, demonstrated, and offered for sale on this tour. Many sites are providing hands on activities. Click here for more info. October 9th, 2018, 6:00pm to 9:00pm at the Lutsen Townhall on the Caribou Trail. Bring a dish to share and an enjoy prizes, fun and food! WTIP Radio, along with the North Shore Winery and Sawtooth Mountain Cider House, invite you to experience live, local radio on the North Shore! Join us on Friday, October 19 and be a part of the fun. The event begins with music by Gordon Thorne at 4:00 pm, leading up a live broadcast of WTIP’s variety show, the Roadhouse, from 5 – 7 p.m. The excitement continues with Small Change, your favorite call-in trivia program from 7 – 8 p.m. Hosts will be taking answers live from the Barrel Room at the winery, or over the phone. This event is free and open to all. There will be special WTIP membership incentives offered–including guided wine and truffle tastings during the Roadhouse! October 19th – 21st, 2018. Throughout Moose Madness weekend, there are activities for everyone. Activities range from the athletic to the artistic and kids will win “moose bucks” to spend on prizes when they do scavenger hunts, races and arts activities around town. Check here for more info! There are so many other fun and inventive things you can do while you visit the Fall colors of Cook County. Click here to be even more inspired! And don’t forget to visit Wild Country Maple Syrup as part of your fall tour of the North Shore this season. Shall we move on from our 2018 harvest? Why not lets have some summer, and at the end of this post please enjoy the May 5th video of our final day at the evaporator as we pull off the last of the 2018 maple syrup crop. It’s always an event … Speaking of events, I’d like to add something fun and exciting to your summer calendar. Most prominently on July 15th Fulton Brewery is hosting a fun event at their campus called “Beers and Brunch”. It’s a brunch featuring their newest and brightest brew that features (our) maple syrup and locally roasted Fika coffee. Yes you heard correctly and both products are infused in to their beer which hails from our little hamlet of Lutsen Minnesota. Behold Sawtooth Maple Syrup, and Fika coffee together in a breakfast blend event sure to be ground breaking. 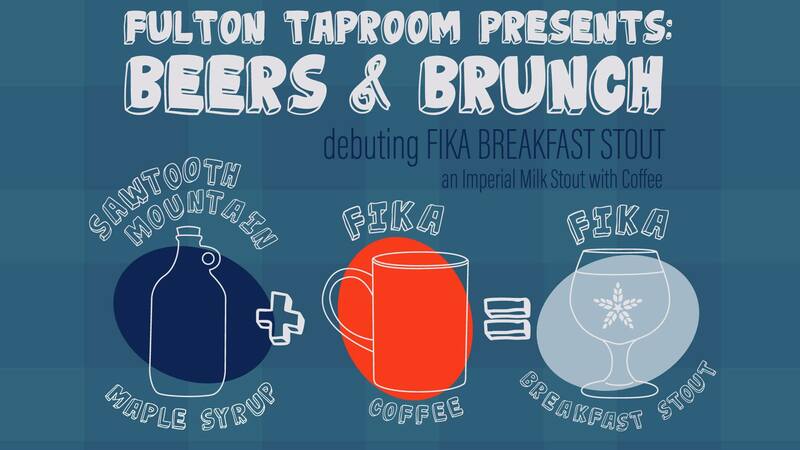 Make your reservations, then get to the Fulton Tap Room and enjoy an amazing beer with your brunch, and of course buy some of our maple syrup while you’re there. Kirstin from Sawtooth Maple will be present to help you get your maple on! Now, if you’re a local, or happen to be on the North Shore July 13 – 15. You need to stop by the “Hopped Up Caribou Beer Festival” in Lutsen Minnesota. There are just 9 days left from today to make your reservation and enjoy a weekend in the Sawtooth Mountains. It’s next to my favorite snowboard runs at Lutsen Mountains – enjoy a craft made oat soda slope side. Yes, it’s an awesome event! Granted that not everyone is into beer, so in Grand Marais on July 14 and 15, we encourage you to come enjoy the Arts Festival sponsored by the Grand Marais Art Colony. Featured on the harbor and all along Wisconsin street, enjoy the cobblestone beach and all the wonderful artisans who come to feature their craft and wares. 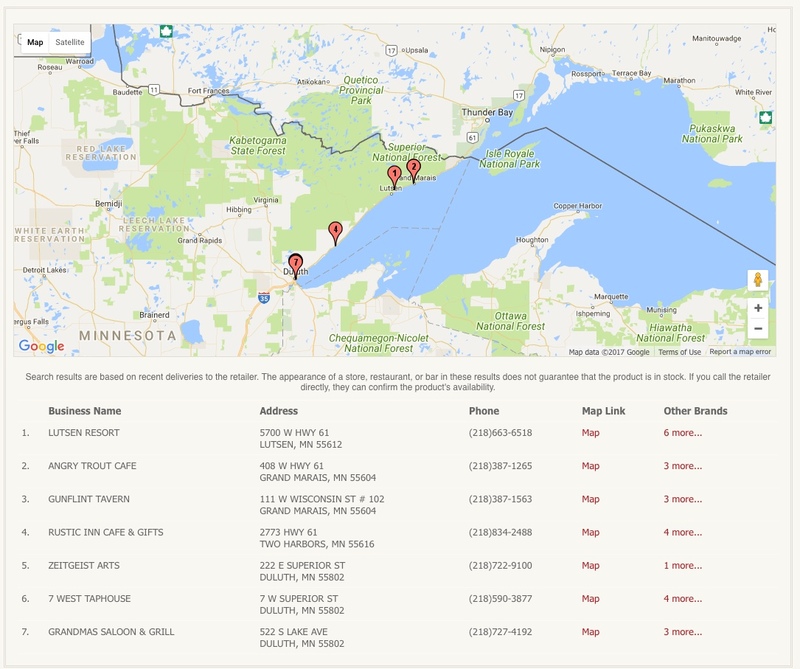 Visit https://www.visitcookcounty.com/event/grand-marais-arts-festival/ for even greater detail. If I may also mention that there are some awesome accomodations to enhance your stay along the shore. Who better to help you find some of the most lovely properties to get your summer groove on than Cascade Vacation Rentals , with over 200 cool locations to stay on Minnesota’s North Shore. So for July, that’s our update. And as promised here is a short video of our final day of boiling shot back in May. Violent November winds produced a disturbance in the force. Many branches and trees down on the lines … Wouldn’t it be nice to wield a light-saber-chainsaw? On this November day, a very different landscape has materialized and we now find ourselves working our sugarbush within the fringe of much cooler weather. Perhaps the “lunatic fringe”? But we welcome this pre-season to our approaching 2018 harvest with open arms. Much of our region has little or no snow, and very little has been collected along the Hwy 61 corridor to date – But here in the elevations of the Sawtooth Mountain range, we’re flush! 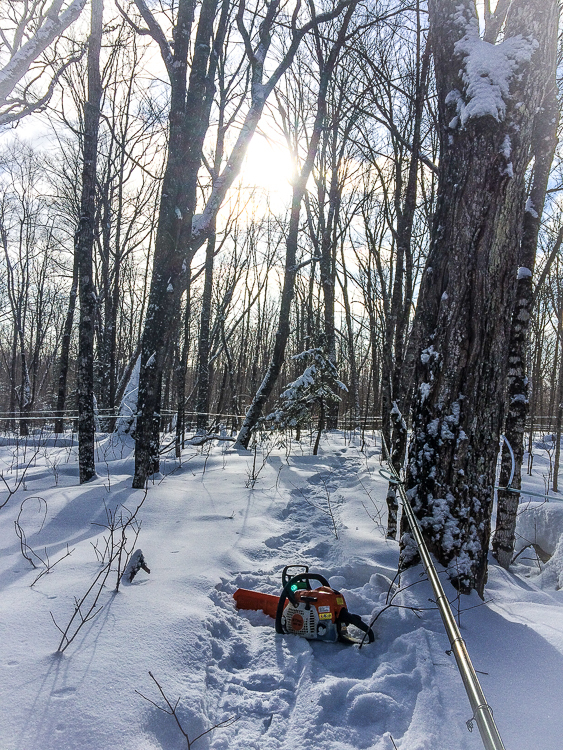 However, we are not just yet needing the snowshoes to navigate our lines as we continue to repair and prep and talk to the maple trees. Yes, we speak comfort and good blessings to our trees. It’s included in our production! Mix your dry and wet ingredients separately then combine, mix together and cook. Let the waffles thoroughly cool, then pop ’em in the freezer for your future comfort cravings. Personally, I like to dip the corners of the waffle in the maple syrup much like you would dip fresh baked bread in a little olive oil and balsamic vinaigrette with fresh cracked pepper … ooo, now there’s another comfort food idea to enjoy with your favorite beverage. A BOLD fall/winter beverage If I may suggest! Our good friends at Castle Danger Brewery released a very special seasonal beer this past fall: “Maple Marzen” It was lagered over the summer with traditional German malts and hops and blended with local maple syrup. 5% of the proceeds are donated to the Superior Hiking Trail (SHT). Now that’s cool! Find Maple Marzen along the North Shore by clicking the map or on the Castle Danger Brewery website. It’s only available on-tap in taverns and at the Castle Danger Brewery, where you may purchase a to-go growler as well. Where to find this Maple Marzen along the North Shore drive? Click the map image or visit their website for more information. Oh, and that’s not all! 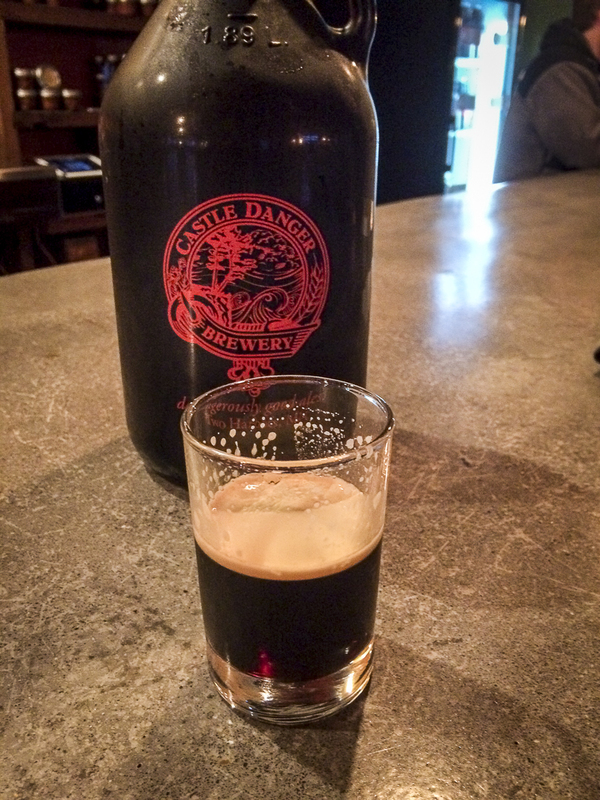 Coming soon, Castle Danger Brewery will be re-introducing their signature “Big Dumb Stout” featuring, you guessed it, our 100% REAL Maple Syrup and to be found only in their tap room … if you are a craft beer lover, I highly recommend stopping at their Two Harbors tap room for a snit on your way up the north shore. Autumn Bliss, ya’ just can’t miss! There is still plenty to enjoy! The tree crowns are about peaked but the understory is lightening and that perfect window of viewing opportunity is here, but closing. 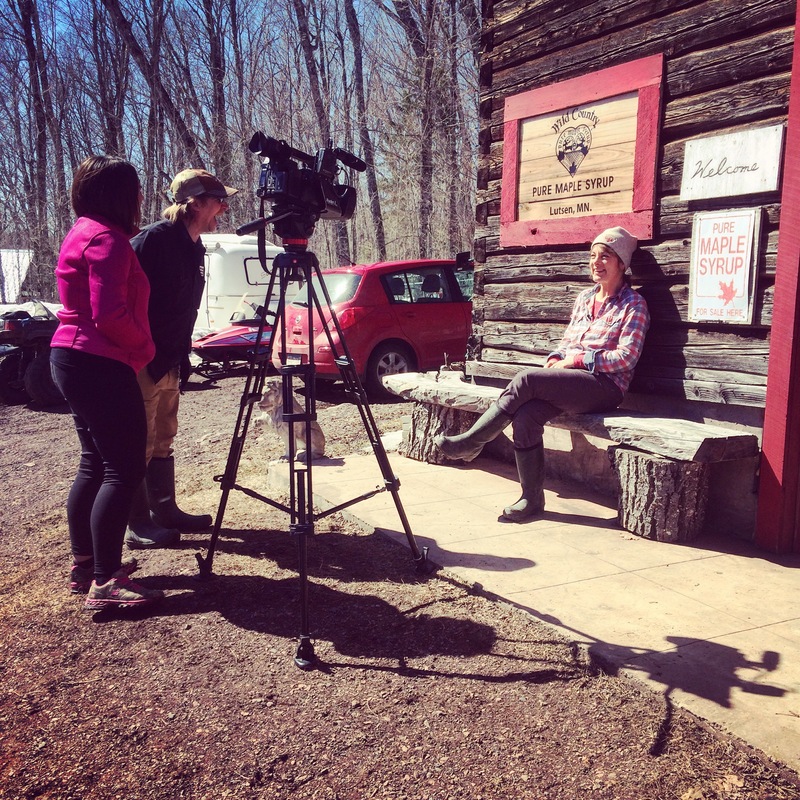 Visit Wild Country Maple Syrup’s onsite store here in Lutsen. There are a few calendar items left to do before all is transitioned to a winter landscape, and more. The latest addition is the annual Lutsen Communtiy Potluck Celebration happening October 10th between 5:30pm and 7pm at the Lutsen Townhall on the Caribou Trail. Bring a dish to share. Prizes, fun and food! 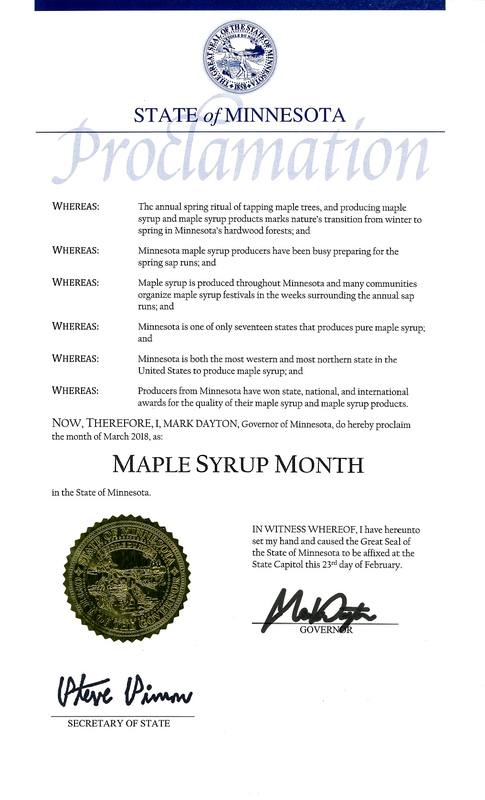 Don’t forget to stock up on a season’s worth of Pure Maple Syrup! If you just can’t be here this fall, enjoy a video of a short drive down our driveway! A lone maple tree on the driveway begs for attention and is indicative of the coming seasonal change. It’s Fall color time here in the sugarbush with lots to do and see! Pancakes and waffles never tasted so good in the fall, and it is certainly a great idea to stock up on REAL Wild Country Maple Syrup while you’re visiting the North Shore! For the leaf peeper, the Minnesota DNR has a wonderful resource for when is a good time to see the Fall colors here in Cook County. Check here for more info! Fall Color Tour signs are placed along some of our most popular routes in the Tofte/Lutsen and the Gunflint area, Tour maps can be downloaded online or picked up at the Tofte and Gunflint Ranger Stations. Radio Waves Music Festival September 8-10, 2017, Grand Marais, sponsored by WTIP North Shore community radio. Check here for more info! Lutsen Pancake Breakfast September 17, 2017, 8am to 11:30am at the Lutsen Town Hall sponsored by the Lutsen Fire Department. Wild Country Maple Syrup will be on your table. September 30, 2017, 9am to 2pm in the lower parking lot of the Lutsen Clear View mall. September 29th – October 8th, 2017. Occurring during the same 10 day time-frame, the new Art Along the Lake-Fall Studio Tour will feature the same Cook county studios as Crossing Borders, with the addition of many new open studios and galleries. Check here for a map and a list of participants. October 10th, 2017, 5:30pm to 7:30pm at the Lutsen Townhall on the Caribou Trail. Bring a dish to share and an enjoy prizes, fun and food! October 20th – 22nd, 2017. Throughout Moose Madness weekend, there are activities for everyone. Activities range from the athletic to the artistic and kids will win “moose bucks” to spend on prizes when they do scavenger hunts, races and arts activities around town. Check here for more info! Additionally, our favorite craft beer brewers will be releasing their newest products featuring Sawtooth Mountain Maple Syrup Company Grade A maple syrup! Visit Castle Danger Brewing in Two Harbors and Fulton Beer in Minneapolis for soon to be released craft maple brews! There are so many other fun and inventive things you can do while you visit the Fall colors of Cook County. Be inspired here!